Born in Scotland into a seafaring family John Kelly's experience as a young Merchant Marine sailing off the coasts of Canada and Alaska would later become the subject in much of his artwork. Displaying precious and prodigious talent, John Kelly's life took a new direction when he was accepted into the prestigious Art Center College of Design in Los Angeles. Influenced greatly by his life experiences and world travels, John Kelly's body of work is uniquely impressive. 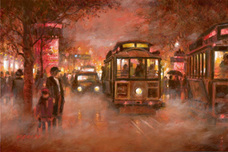 John Kelly is internationally known, his art featured in Great Britain, Australia, New Zealand and Tahiti. 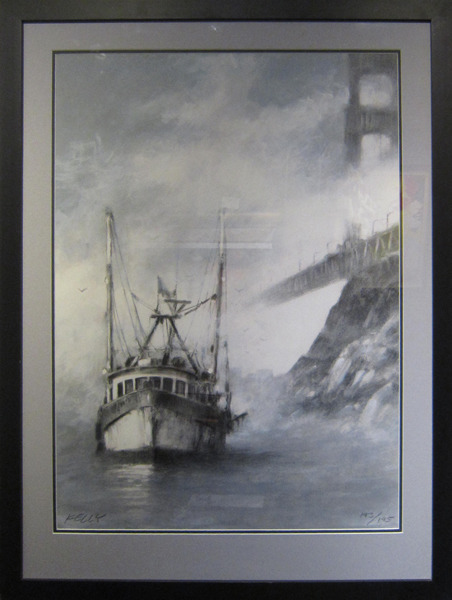 John Kelly is widely considered to be the greatest living maritime painter in world. John Kelly currently resides in Los Angeles. Remember every time you purchase a John Kelly piece over $995 shipping is FREE in the continental U.S. and there is NO SALES TAX outside of Colorado. We ship internationally. We also offer a layaway program so you can reserve your own John Kelly artwork today!